Create a semantic search engine using deep contextualised language representations from ELMo and why context is everything in NLP. This article will explore the latest in natural language modelling; deep contextualised word embeddings. The focus is more practical than theoretical with a worked example of how you can use the state-of-the-art ELMo model to review sentence similarity in a given document as well as creating a simple semantic search engine. The full code can be viewed in the Colab notebook here. I have yet to cross-off all the items on my bucket list. The bucket was filled with water. 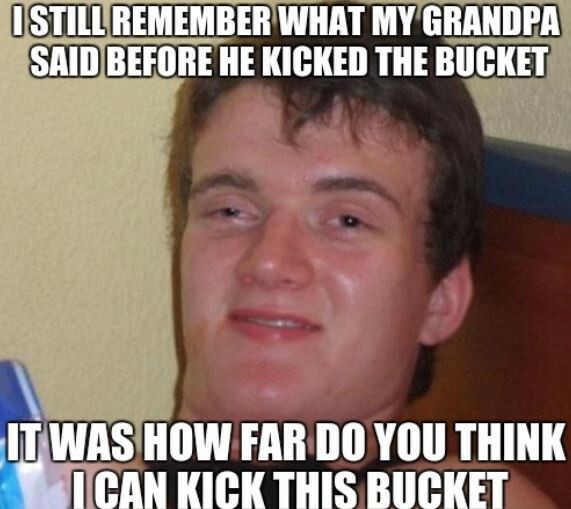 In these sentences, whilst the word ‘bucket’ is always the same, it’s meaning is very different. Whilst we can easily decipher these complexities in language, creating a model which can understand the different nuances of the meaning of words given the surrounding text is difficult. It is for this reason that traditional word embeddings (word2vec, GloVe, fastText) fall short. They only have one representation per word, therefore they cannot capture how the meaning of each word can change based on surrounding context. Enter ELMo. Developed in 2018 by AllenNLP, it goes beyond traditional embedding techniques. It uses a deep, bi-directional LSTM model to create word representations. Rather than a dictionary of words and their corresponding vectors, ELMo analyses words within the context that they are used. It is also character based, allowing the model to form representations of out-of-vocabulary words. This therefore means that the way ELMo is used is quite different to word2vec or fastText. Rather than having a dictionary ‘look-up’ of words and their corresponding vectors, ELMo instead creates vectors on-the-fly by passing text through the deep learning model. Lets get started! I will add the main snippets of code here but if you want to review the full set of code (or indeed want the strange satisfaction that comes with clicking through each of the cells in a notebook), please see the corresponding Colab output here. As per my last few posts, the data we will be using is based on Modern Slavery returns. These are mandatory statements by companies to communicate how they are addressing Modern Slavery both internally, and within their supply chains. We will be deep-diving into ASOS’s return in this article (a British, online fashion retailer). If you are interested in seeing other posts in what is fast becoming a mini-series of NLP experiments performed on this dataset, I have included links to these at the end of this article. b) splitting the text into sentences using spaCy’s ‘.sents’ iterator. ELMo can receive either a list of sentence strings or a list of lists (sentences and words). Here we have gone for the former. We know that ELMo is character based, therefore tokenizing words should not have any impact on performance. # This tells the model to run through the 'sentences' list and return the default output (1024 dimension sentence vectors). It is amazing how often visualisation is overlooked as a way of gaining greater understanding of data. Pictures speak a thousand words and we are going to create a chart of a thousand words to prove this point (actually it is 8,511 words). Here we will use PCA and t-SNE to reduce the 1,024 dimensions which are output from ELMo down to 2 so that we can review the outputs from the model. I have included further reading on how this is achieved at the end of the article if you want to find out more. Now that we are confident that our language model is working well, lets put it to work in a semantic search engine. The idea is that this will allow us to search through the text not by keywords but by semantic closeness to our search query. We can then return the ’n’ closest matches to the search query from the document. In addition to using Colab form inputs, I have used ‘IPython.display.HTML’ to beautify the output text and some basic string matching to highlight common words between the search query and the results. A fully interactive semantic search engine in just a few minutes! This is magical! The matches go beyond keywords, the search engine clearly knows that ‘ethics’ and ethical are closely related. We find hits for both a code of integrity and also ethical standards and policies. Both relevant to our search query but not directly linked based on key words. I hope you enjoyed the post. Please do leave comments if you have any questions or suggestions. Bio: Josh Taylor (@josh_taylor_01) is a specialist in producing insights through advanced analytics, machine learning and visualisation, currently working for Her Majesty's Government. All opinions are my own.